These cats and photography are my passions and they both go together perfectly I put my heart and soul into cats’ socialisation. It is very important for me to teach them independence and how to love before they leave our cattery. All of the cats sleep with us, play with our children and have contact with our turtle- Lary-who is their friend .We consider them to be the part of our family. We do not keep them in cages, stalls or separate rooms. We take all our free time to kittens’ socialisation because we want them to be lovely and cuddly friends for a very, very long time. Kittens are healthy and under permanent vet’s care. They leave our cattery when they are 12 weeks old. If they go abroad they will have 3 weeks of additional rabies quarantine. Kittens’ parents have got negative result of the FIV and FELV tests which is a guarantee of kittens’ health. By the time they leave to the new caretakers they will have been inoculated and dewormed. 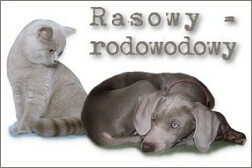 They get health card and pedigree which is a guarantee of their origin and their features typical for a given breed. We sell kittens only with a FIFé pedigree - your guarantee that you are buying a purebred Devon Rex Cat. I would be delighted to keep in touch with new caretakers and get to know how our kittens grow up. Please consider deliberately the decision. In case of cancellation the deposit will not be refunded.